Policy by the people for the people. After witnessing many of the recent events in American politics and the inability of Congress to pass meaningful laws and reform, we decided it is now up to the people to draft policy. We created Better America to allow people to do just that. 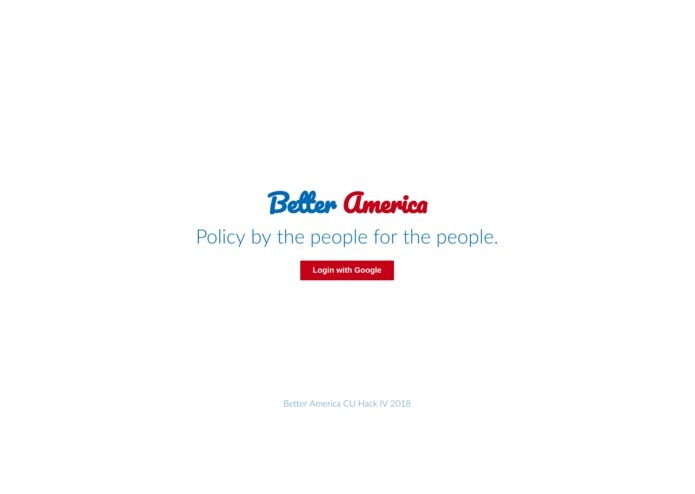 Better America allows users to sign up with google sign in, create topics they care about, and draft bill policy with their American and international peers. After the policy and or idea has reached maturity, Senators or Representatives can be contacted to sponsor the bill. 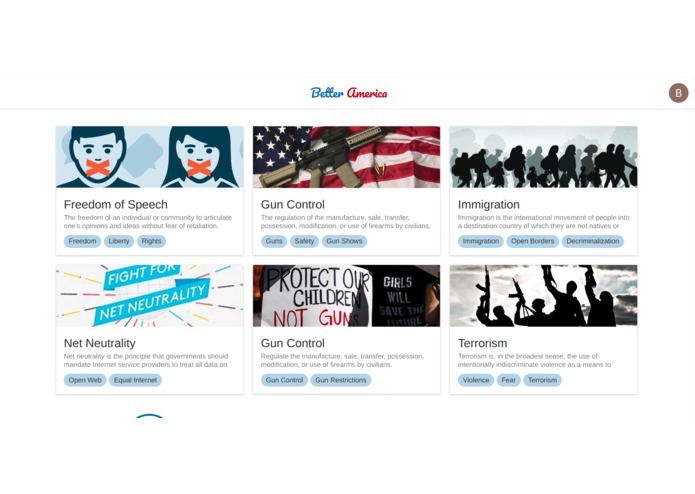 We built Better America with a React front-end, a Koa/Node.js server/back-end, GraphQL APIs, and an Elasticsearch server as the Database. Some challenges we ran into while working on the project included lack of sleep and dealing with automatically saving our live editor. We are very proud of the fact that we finished what we set out to do and the platform works. 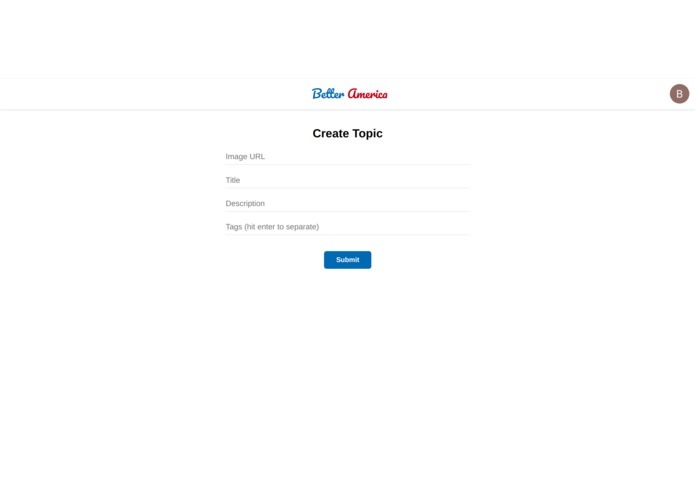 We learned a lot about React, Elasticsearch, and Node.js while working on this project. In the immediate future we will be pushing our website live on AWS. 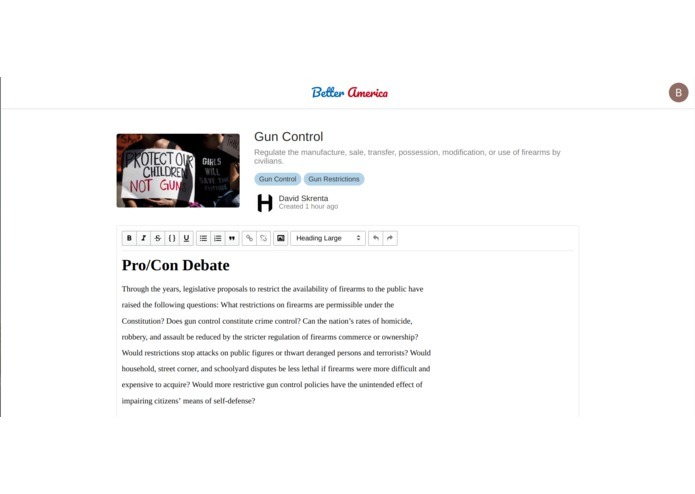 In the further future we will add more collaborative editing tools for our users as to allow them to truly draft bills and policies democratically in real time.